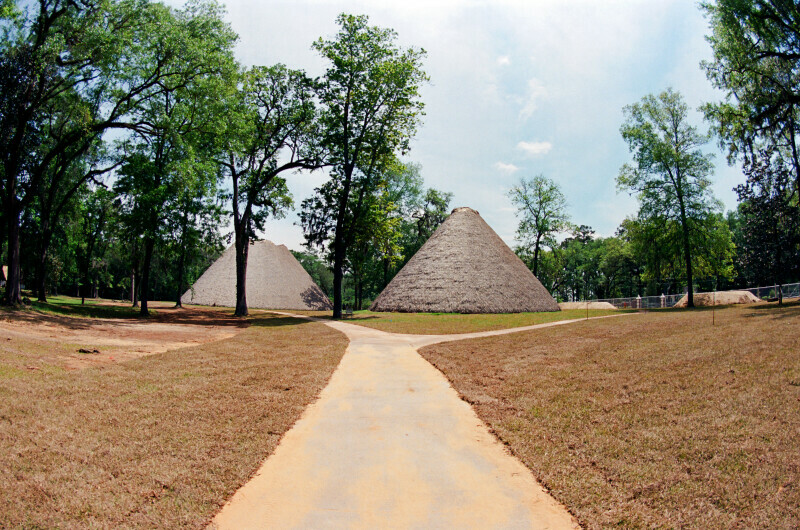 A fish-eye view of the reconstructed chief's house and council house at Mission San Luis de Apalachee. The houses are uniquely conical and constructed with thatched outer walls. WARNING: You are about to download a 60.6 MB TIFF!